Flame Tree Kitchen is the University of Auckland’s preferred caterer. We can cater to any faculty or department across Auckland and have several kitchen locations and cafes based onsite. The Pavilion (a University owned venue) is available 3 times per year on campus and is also available to hire for off campus events. The Fale Pasifika plays an important role at the University of Auckland as the touch-point between the University and Pacific communities. The deluxe pavilion marquee is an aluminium frame with a combination of glass and solid wall panels, fabric roof, and wooden cassette floor. The Pavilion provides over 1000m2 of flexible event space suitable for every occasion. Typically sited on the lawn of Old Government House, one of the most historic buildings in New Zealand, offering a unique space for your next event. 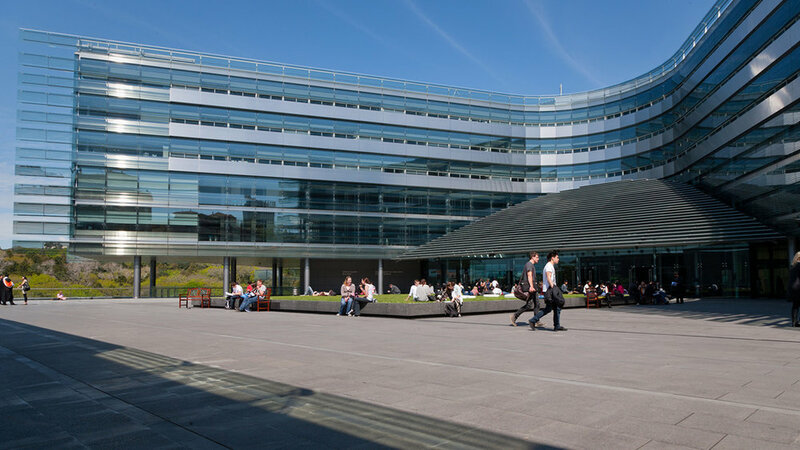 The Business School's award-winning Sir Owen G Glenn Building gives staff and students an integrated, purpose-built structure. It houses fully-equipped lecture theatres, computer labs, work rooms and social spaces, along with cafés and an on-site bank, clustered around a spectacular 26m-high atrium. Disabled access and facilities are available throughout the building. The iconic building stands as a place of convergence for business, academia and government.